Tim Cahill is a name synonymous with aficionados of the Premier League, given his illustrious eight-year-long stint at Everton FC. The Australian forward has since played in a variety of league including the Major League Soccer (MLS) in USA, Chinese Super League (CSL) in China, the A-League and now is set to dazzle in the Hero Indian Super League (ISL). “I have travelled and played world over, but truly it was amazing to experience the welcome in Jamshedpur. The drums, culture, people of the city… for me it gave great motivation and I am very proud to be here in the Indian Super League and to be part of the city of Jamshedpur,” Tim revealed during the ISL Media Day in Kolkata today. When asked about his role in Jamshedpur FC, the World Cupper said, “For me and for a player like Subrata Paul who has the international experience, we would want to help the youngsters in the team. 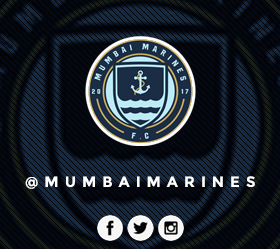 We have three players, Gaurav Mukhi, Mobashir Rahman and Vishal Das who graduated from the Tata Football Aacademy and have been promoted from the reserve side this season to the first team. I especially have taken these three youngsters under my wing. I have been watching their diet, gym, training, sleeping hours, everything to make them better players. Tim admitted that he rejected offers from various clubs from other parts of Asia before deciding to come to India. “During and after the 2018 World Cup, I was approached by many agents. I had offers from the Middle East and Asian teams. But for me, the biggest thing was to understand the team and the league,” said the all-time top-scorer of the Australian national team. Can NorthEast United Break The Playoff Jinxs?